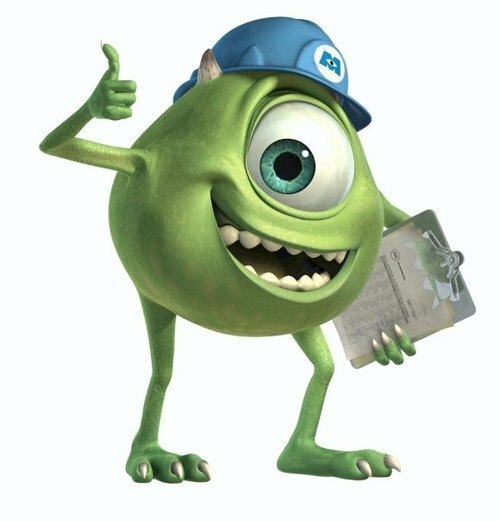 Enter Mike Wazowski, a monster, though not your typical scary monster. Persistence and creative thinking open up solutions. Mike Wazowski knows he will never be able to make children scream like his partner, Sully, whether as a university student or later in Monstropolis. However, Mike is persistent and innovative, and he vows to support and resource Sully to make Sully the lead scarer. Creative thinking can be a game changer and a life-saver. Bumps will always be present in the roads and troubles may always lurk on the horizon, but good leaders will guide those around them with innovative thinking and creative solutions to overcome obstacles. This ability will not only foster creative solutions to an organization’s challenges, but also empower the members of the organization to grow and develop their own leadership potential. Throughout the movies, both the original and the prequel, Mike Wazowski has the gift of courage and encouragement. It is through his innovative inspiration that he becomes an unexpected leader. He cares more for his team, and ultimately the success of his partner, than for himself. Mike sees the values in others, and he thus grows from the role of the standard self-promoter, to an altered and symbiotic state of mind. In essence, he led from behind, and encouraged those around them to flourish in their own right. With a big smile, Mike delivers one of my favorite lines: “You’re the best, and don’t let anyone tell you differently!” Good leaders encourage those around them to be the expert at what they do. Each person is unique, and each person has something special to offer. Together, for the good of the organization, the group can bring their gifts forward and share with the group to create the “whole.” Going back to the quote first referenced, leaders must realize that sharing their vision and values is crucial to success. As Robert Greenleaf theorized, from a shared vision, the organization as a whole will accept the institutionalized discipline of structures and systems embodying those shared values. The ability to facilitate this shared vision and passion is the mark of a true leader, and Mike Wazowski is a true leader. Nitin Nohria & Rakesh Khurana, “Advancing Leadership Theory and Practice,” in Handbook of Leadership Theory and Practice, eds. Nitin Nohira and Rakesh Khurana (Boston, MA: Harvard Business Press, 2010), Kindle Location, 308. Jennifer A. Chatman & Jessica A. Kennedy, “Psychological Perspectives on Leadership,” in Handbook of Leadership Theory and Practice, eds. Nitin Nohira and Rakesh Khurana (Boston, MA: Harvard Business Press, 2010), Kindle Location 2091. Robert Greenleaf, Servant Leadership: A Journey Into the Nature of Legitimate Power and Greatness (Mahwah, NJ: Paulist Press, 2002).